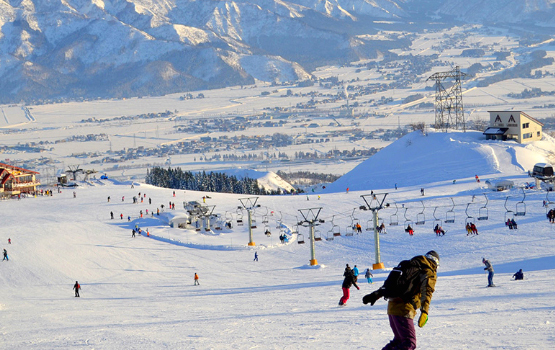 Muica Snow Resort (previously known as Muikamachi Ski Resort) is located in Minamiuonuma city, just a few kilometers from the Muikamachi IC exit of the Kanetsu Expressway in Niigata Prefecture. 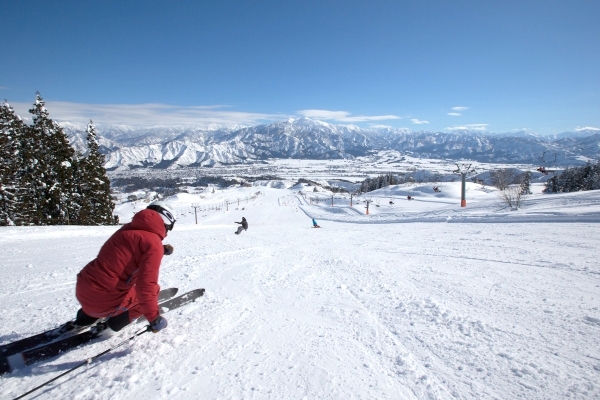 Spectacular views of the valley can be enjoyed from the wide main runs at the resort - and the main runs are suitable for beginners and intermediate level skiers and snowboarders. 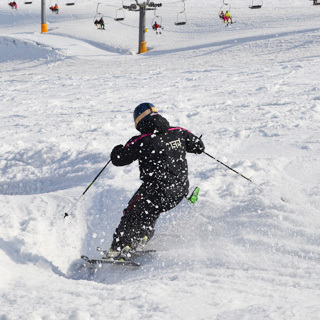 For those who like their powder untouched, try to top area of Muica Snow Resort.... hike up for some off-piste powder runs on the Dynamic, Condor and Eagle courses. Hike up to the top of the mountain to experienced the three ungroomed and untouched powder courses with a steepest slope of 33 degrees. Only for the experienced! 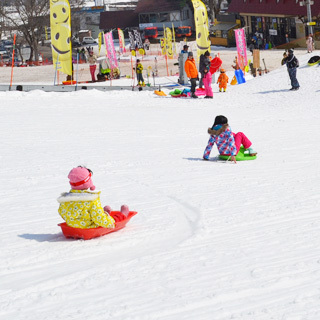 Located close to the Muica Onsen Hotel entrance, this is a special area where young children can enjoy playing in the snow in a safe environment - separate from the main ski runs. Sledges can be rented for free within the area. 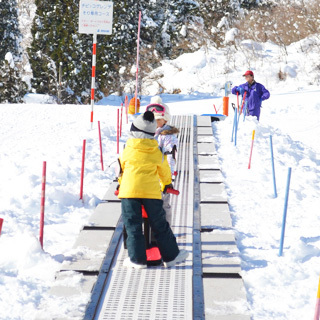 Entry is free and use of the snow escalator is 500 yen for the day (or free with a valid ski lift ticket). Children 2 years and younger can enter for free. 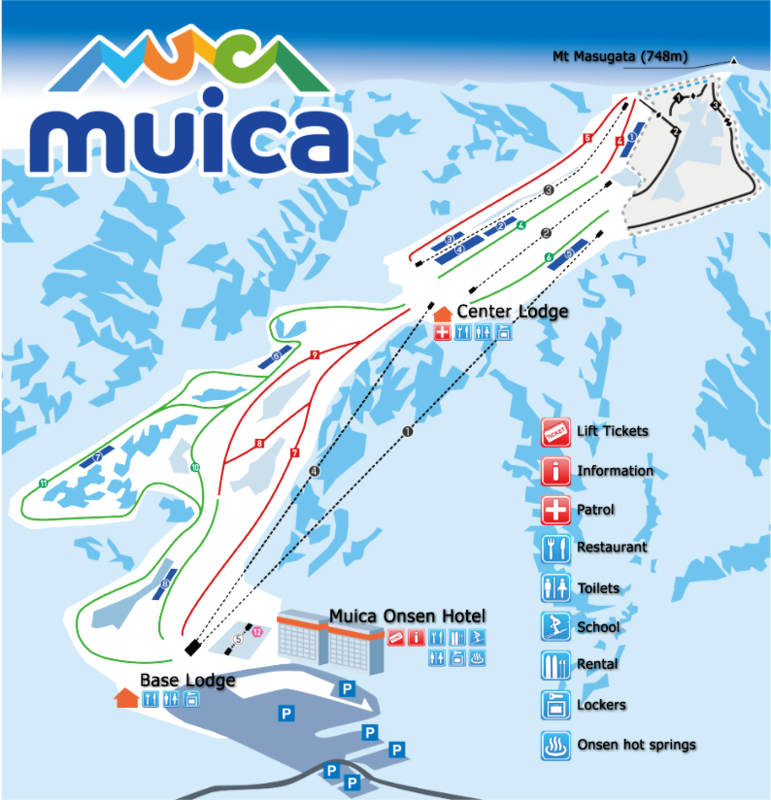 Lifts tickets available from the Muica Onsen Hotel Ski Center 1F from 8:00am until 4:30pm. The ski lifts are normally open from 8:30am until 4:30pm. 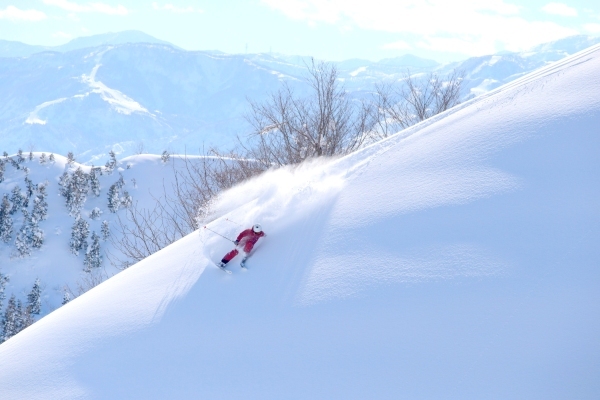 - One day lift ticket for just 1000 yen at group ski resorts (Yuzawa Nakazato, Maiko Snow Resort, Ninox Snow Park, Asahi Tengston) and Cupid Valley. During rental times you can change from ski to snowboard as well as model type as many times as you like. A popular restaurant serving a menu based on local ingredients. 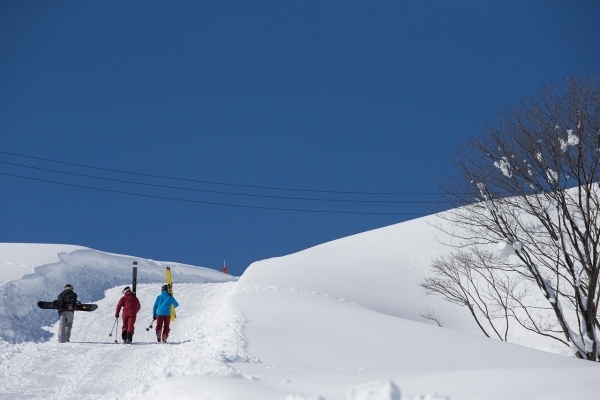 A free shuttle bus service is available from Muikamachi Station (Joetsu local line) to Muica Snow Resort - the journey takes approximately 15 minutes. Buses leave the station at 8:45am, 9:40am, 11:10am, 12:50pm, 1:50pm, 2:50pm, 3:45pm and 4:45pm - mostly on weekends and holidays. The Muikamachi IC (Interchange) exit on the Kanetsu Expressway (toll) road is just a few km from Muica Snow Resort. Turn right onto Route 253 after existing the IC and head towards Tokamachi. The resort is 2km along that road. Free parking every day of the season! Information on the Cupid Valley resort can be found here.